The objective of this course is to inform the reader of impacts the changes made by the Tax Cuts and Jobs Act have on GAAP and financial reporting. Topics include an analysis of adjustments required to be made to deferred income tax assets and liabilities, including those assets related to net operating losses, newly issued ASU 2018-02 related to the tax effect of accumulated other comprehensive income, accounting for the change from an S to a C corporation, impact of the elimination of like-kind exchanges, GAAP accounting for bonus and Section 179 depreciation, new limitations on interest deduction, SEC SAB 118 transition rules, presenting the tax benefit of an NOL carryover, and more. Basic understanding of U.S. GAAP is required. Stan has experience working for large international accounting firms and today runs a two-office tax, accounting, and consulting practice in Oakland and San Francisco that focuses on high net worth individuals and small businesses. Stan earned his bachelor’s degree in Business Administration from California State University, Northridge in 1980. Stan has taught continuing education courses to practitioners throughout the country on a regular basis for over 10 years. 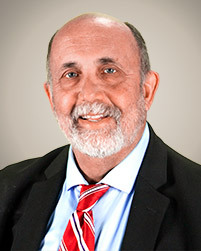 Stan has been a regular guest on a northern California radio talk show discussing taxes and has previously taught accounting courses in junior colleges in southern California. 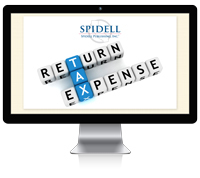 Spidell Publishing, Inc. is registered with the National Association of State Boards of Accountancy (NASBA) as a sponsor of continuing professional education on the National Registry of CPE Sponsors. State Boards of Accountancy have the final authority on the acceptance of individual course for CPE credit. Complaints regarding registered sponsors may be submitted to the National Registry of CPE Sponsors through its website: www.nasbaregistry.org. This course is designed to meet the requirements for 2 hours of continuing education for the California Board of Accountancy. Level: Overview. Field of Study: Accounting. Delivery Method: Self-Study. For more information regarding administrative policies, such as complaints or refunds, contact Spidell Publishing at (714) 776-7850. Basic understanding of U.S. GAAP is required.